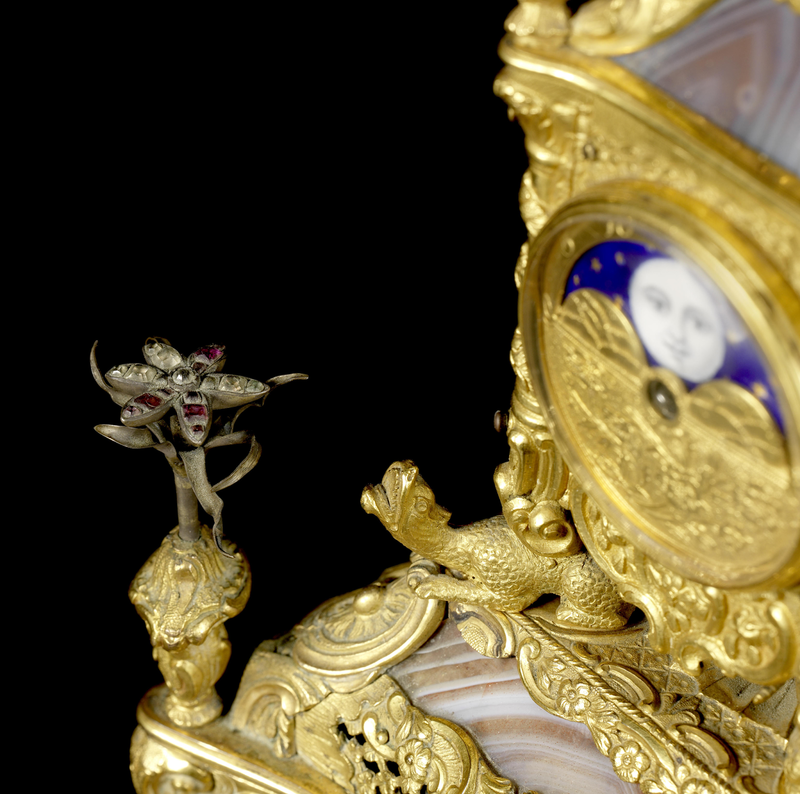 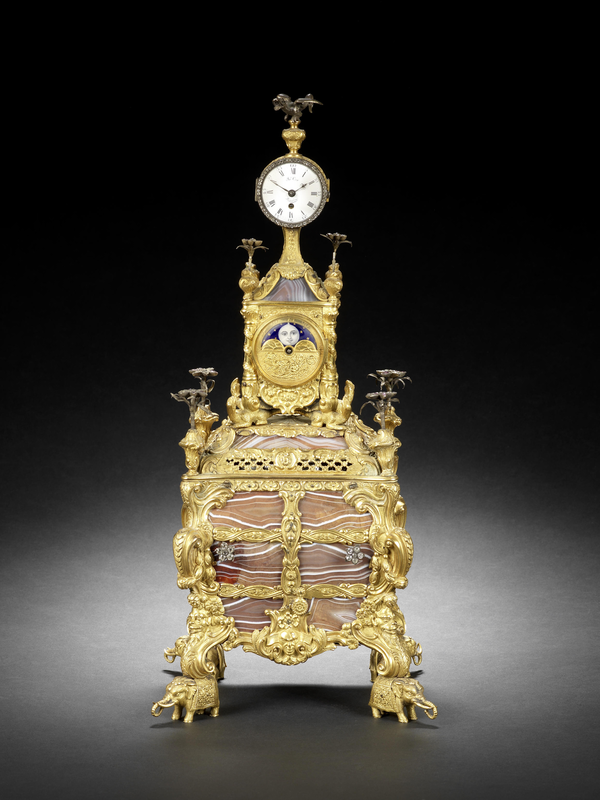 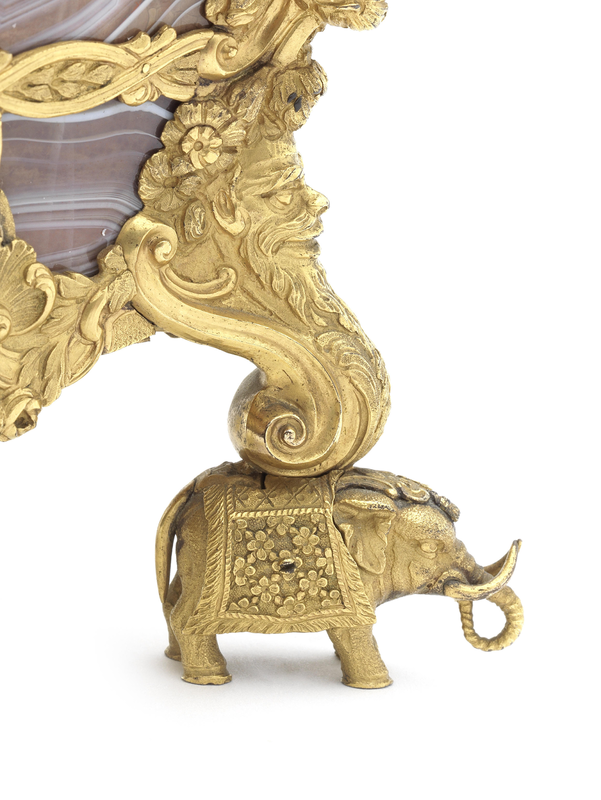 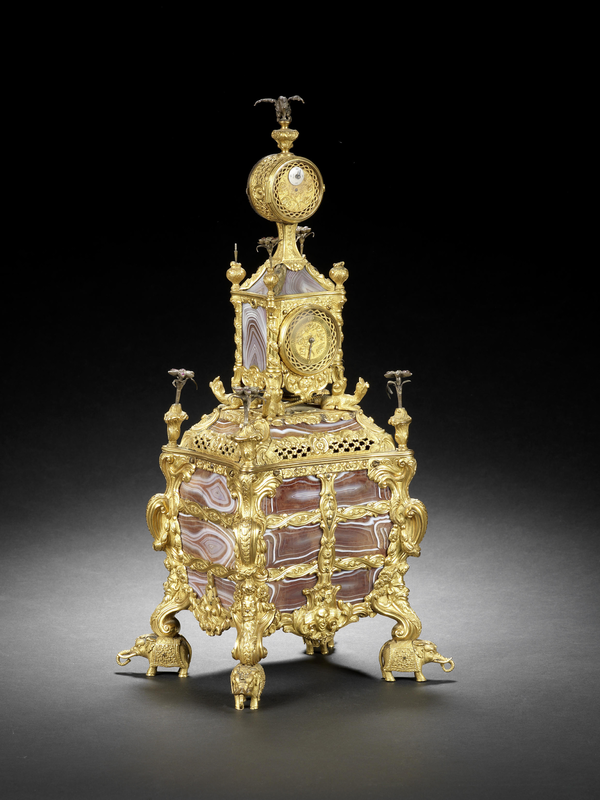 An exceptional mid 18th century agate-panelled and silver-mounted musical ormolu table clock with moonphase indication. 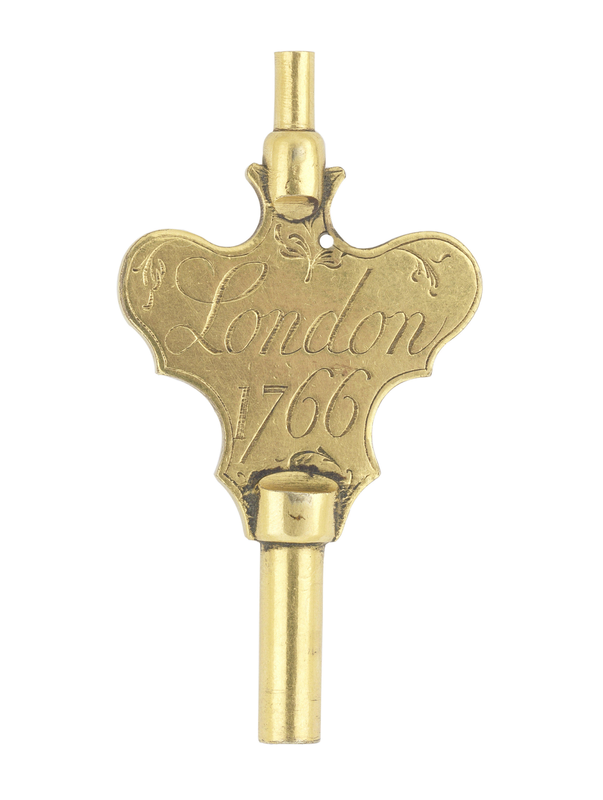 Sold with the original key, signed and dated key, James Cox, London, 1766. 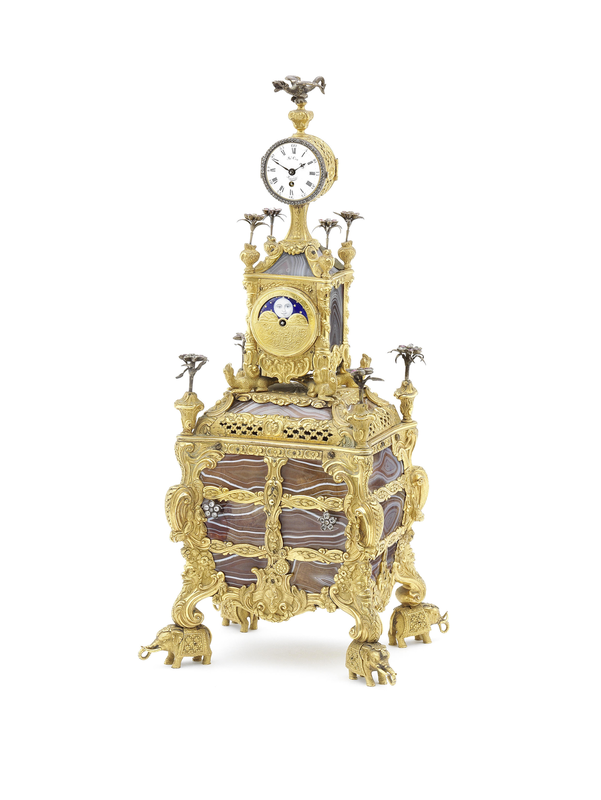 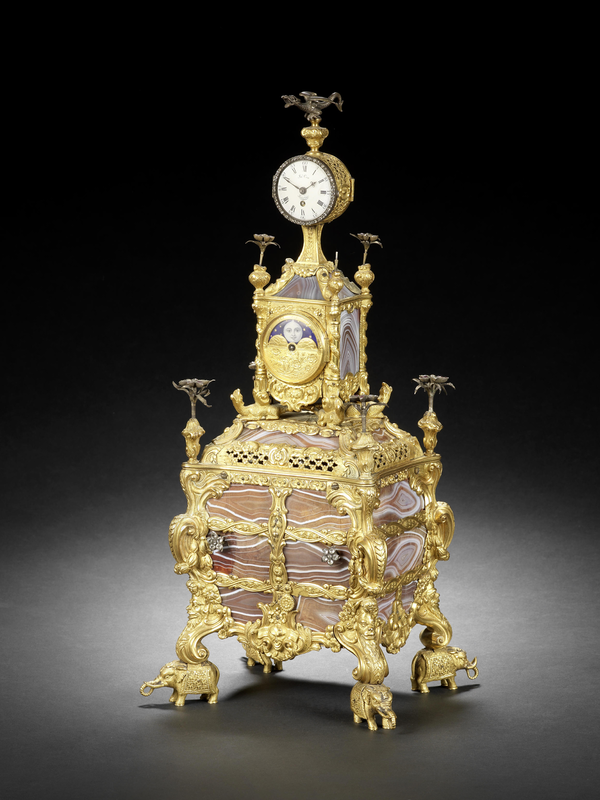 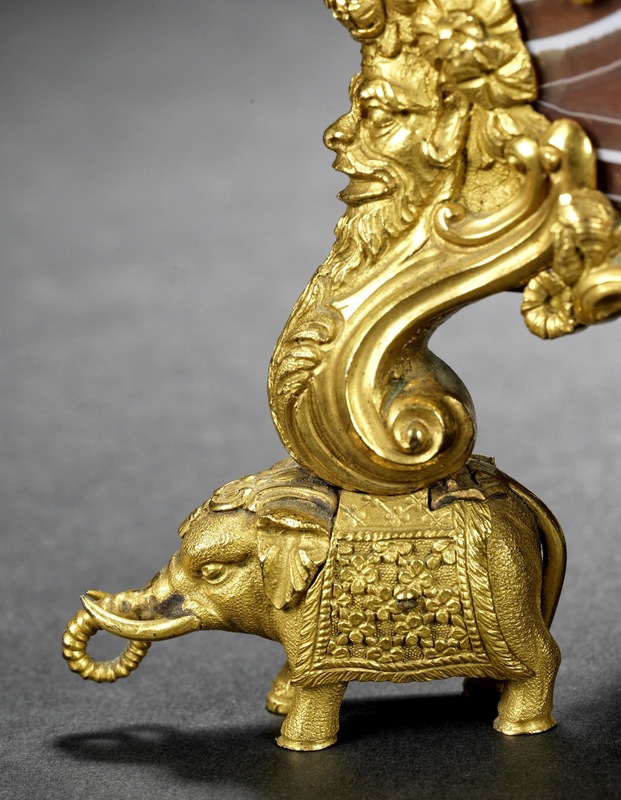 James Cox, London Musical clock owned by Egypt's King Farouk, sells for £385,250 at Bonhams Fine Clocks auction in 101 New Bond St, London, 12 Dec 2012, 14:00 GMT. 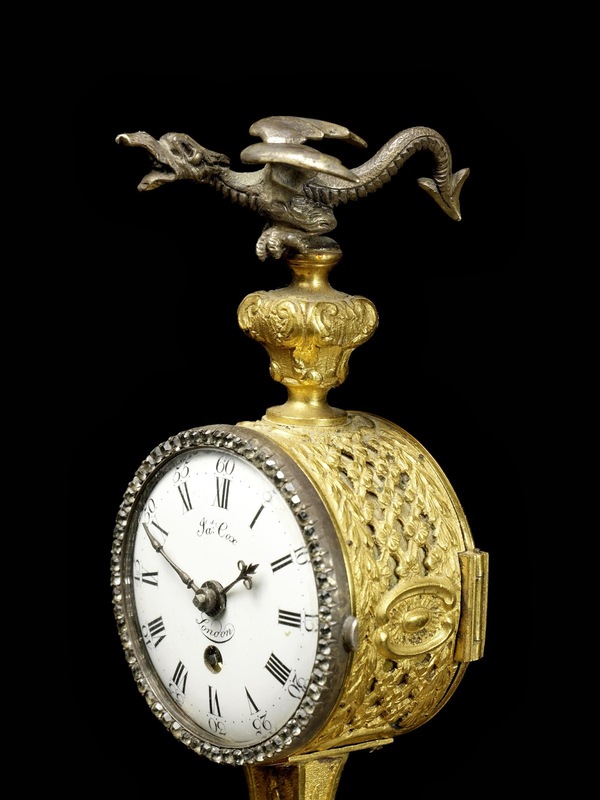 Surmounted by the figure of a silver dragon on an urn over a pierced drum case carrying the signed enamel Roman and Arabic dial signed in two curved arcs, with steel beetle and poker hands, the mid-section of the case topped by four stone-set silver flowerheads and inlaid with boldly figured agate panels between wreathed columns supported by crouching salamanders, set to the front with an enamel moonphase dial and to the rear with a subsidiary gilt dial marked 1-60, on a pierced caddy section further enriched with agate panels, the lowermost part of the case formed as a mid 18th century commode with symmetrically matched panels of agate within ormolu borders, the each corner mounted with boldly cast volutes on mask-headed scrolls, supported on four cast feet modelled as decorated elephants, complete with head dresses. 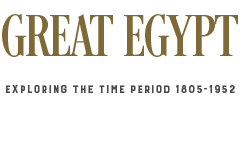 ساعة موسيقية صنعها صائغ لندن جيمس كوكس عام ١٧٦٦، مصنوعة من الفضة والذهب الزائف وحجر العقيق، كانت ذات مرة مِلكًا لفاروق الأول ملك مصر،. 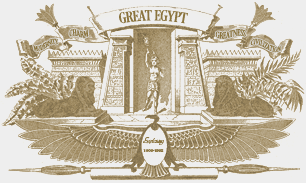 بيعت في مزاد بونهامز في ١٠١ شارع نيو بوند بلندن، بتاريخ ١٢ ديسمبر ٢٠١٢، بمبلغ ٣٨٥,٢٥٠ جنيه استرليني.